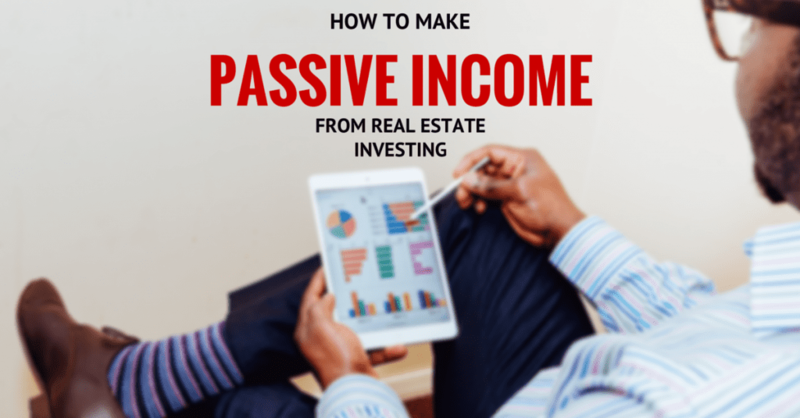 When it comes to real estate investing, obtaining truly passive income is the ultimate goal for many investors. Passive income can provide steady monthly income, while leaving you with plenty of time to research more investment opportunities and gradually grow the amounts of your monthly and annual passive income. When done correctly, can ensure a comfortable retirement, increase your equity, and build a financial legacy to leave to your heirs, although, with any investment, there are risks. To help you avoid them, here are some useful pointers. Like all types of investments, ultimately, you want to ensure you can make enough money to pay your bills and generate a profit. To do that, you need to establish a realistic financial goal from the passive income generated by your real estate investments. Your financial goal should be enough to cover your cost of living, preferably through your retirement years, and leave a financial legacy for your heirs. Your financial goal could be based upon the average income generated by each rental unit you own for a month, year, or longer period of time, but it has to be based on the average income per unit. Set a monthly goal for your passive income from real estate investments. Keep in mind your current situation including annual salary, liquid assets, credit profile and the amount of time you have until you wish to retire. To make your passive income efforts successful, you should compile an honest financial model that will give you realistic look at the income you can anticipate from your investment over a period of time, preferably five years or more. Whenever possible, it’s best to project your income over the life of your investment. That means you need to track all of your revenue streams for your rental income, including late fees, deposits, concessions, and other revenue streams, in addition to your rent. You also need to carefully track your expenses, which include taxes, maintenance and repair costs, vacancies, delinquencies, utilities, landscaping, insurance, legal expenses, and others. Without accurate assessments of your likely income and expenses, you won’t be able to accurately project your potential revenue over the life of your investment and could incur a loss. So it’s very important to perform research, learn your potential revenues and costs, and provide the most accurate financial model you can create. Try our rental property cash flow calculator to run estimates on potential investment opportunities. When you invest in real estate, you will need to determine your potential income from each rental unit, whether it’s a single-family home, multi-family housing, or commercial property. That means you need to take the financial model you created and populate the line items with data obtained from your research, in order to learn the average income per unit across all of your property types. You’ll need the data from your current properties, while learning everything you can about a potential investment property before you make that purchase and can project your likely income per rental unit without it and after buying it. If the numbers show improvement to your per-unit income over time, you likely are making a sound investment with a strong probability of generating a profit and passive income over the life of your investment. When you know what your monthly, annual, or other financial needs are and have an accurate assessment of your average income per unit, you now can determine just how many units you need to attain your financial goal. If you want to generate $100,000 per year in passive income, you would need to divide that amount by the average income generated per unit over the course of a year. The resulting number is how many units you need to attain your financial goal for passive income. Investing in turnkey rental properties is an excellent way to build dependable passive income. Talk to us to learn more about creating a detailed investment strategy aimed at reaching your passive income goals.